Colonial White Exotic color for kitchen countertops. Another day with another happy customer. The sink pice is very long with stainless steel single bowl under mount sink, With modern pencil edge, We were able to make it in one pice. The second pice is for the large one pice of island. Its done wright from the first time with the highest quality finish. 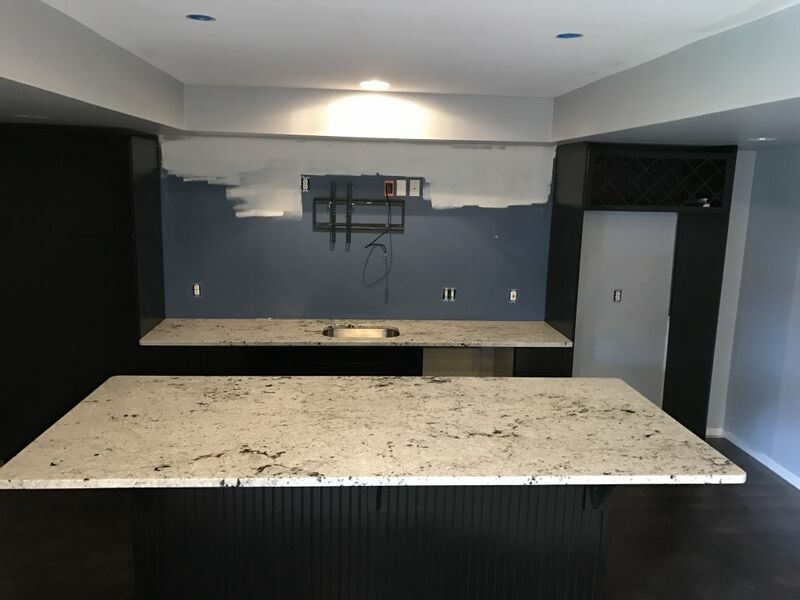 This kitchen counter tops for this remodeled basment kitchen was fabricated and installed by our professional team of experts in Lake Orion, Michigan. Hesano Brothers is a great company to deal with. They are professionals at what they do. It is a family owned business and very well maintained. The type of granite selection they have is great and have many choices to choose from! They are excellent!